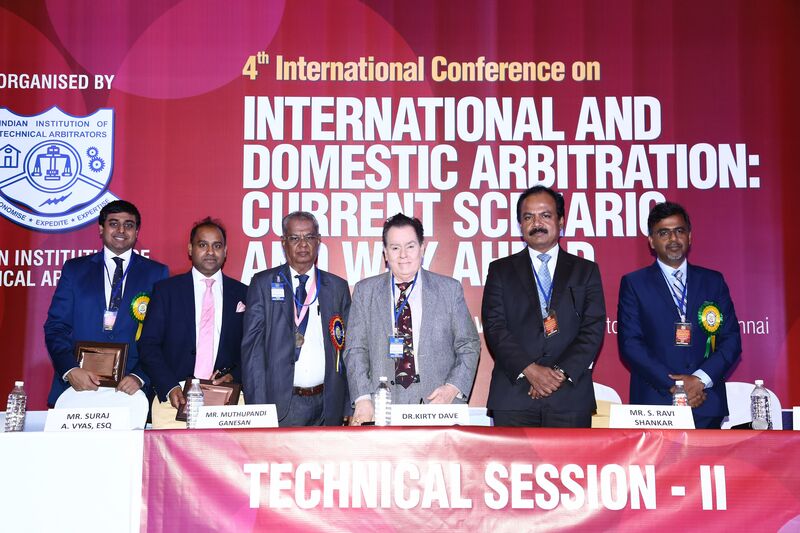 Singapore International Arbitration Centre (SIAC & MCCI) organized a conference in Chennai that examined the key aspects of an international arbitration and shared the insights and experiences in cases administered under the SIAC Rules 2016 and discussed arbitration-related developments in India, the conference was held on 13th April, 2019. 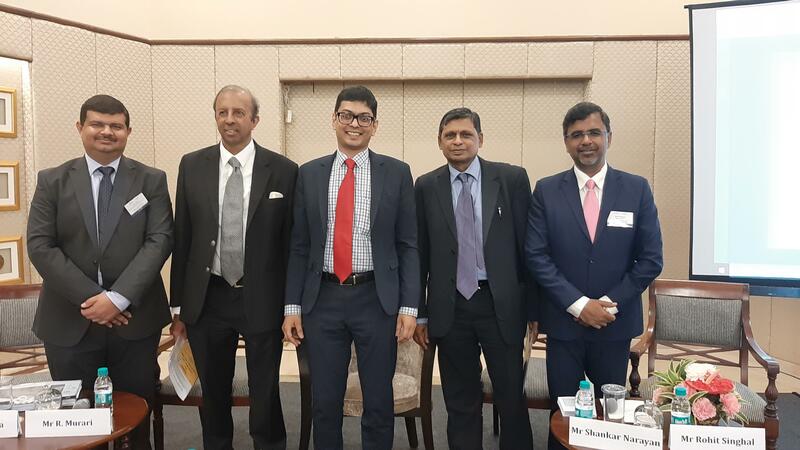 Mr. Rohit Singhal, CEO Masin Projects was part of the panel “State of Play for Indian Arbitration”, the session was designed to address emerging arbitration themes and focused on hot topics for international arbitration in India. ASSOCHAM International Council of Alternate Dispute Resolution (AICADR) in association with Singapore International Arbitation Centre(SIAC) had organized One Day Conference on ‘New Arbitration Regime – Challenges faced by PSUs / Corporates ‘ to provide a platform to discuss the challenges faced by PSUs / Corporates in the resolution of commercial disputes and how to overcome them. Masin was the associate partner of the conference. Mr. Rohit Singhal, CEO was one of the speaker at conference. Indian Lawyers Association held its first, Annual National Conference to further its mission to shape the future of the legal profession throughout India. The inaugural conference brought together over 100 chapters of different cities and gave them a common space for inspiration and interaction, the conference was designed around the parameters of panel discussions involving high level leaders from governments, private sectors, civil society, international organizations, academia and legal community. Mr. Adarsh Kumar, Partner, Masin Projects was one of the speaker in the panel discussion. 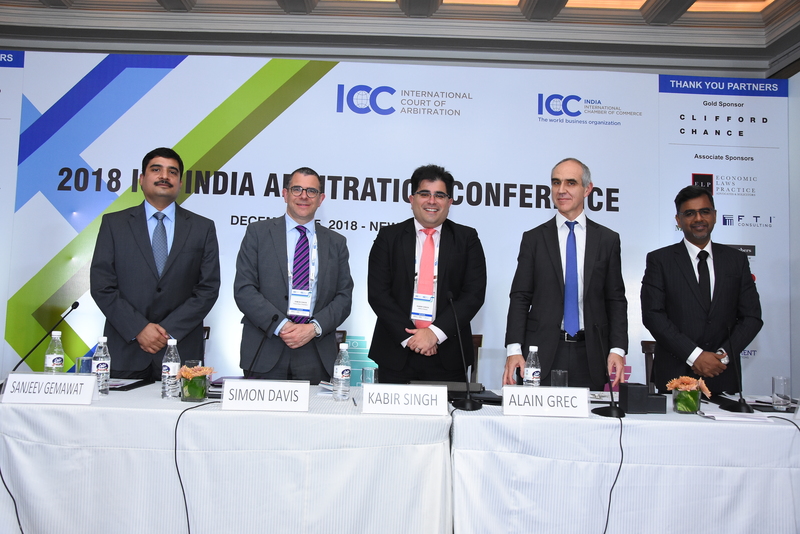 ICC International Court of Arbitration and ICC India hosted their Annual Conference in Delhi which brought together leading practitioners from India and abroad to discuss key issues in domestic and international arbitration with a special attention being placed to Indian practice and experiences under the ICC Arbitration Rules. The conference had an inaugural session followed by three interactive panel discussions and observations. 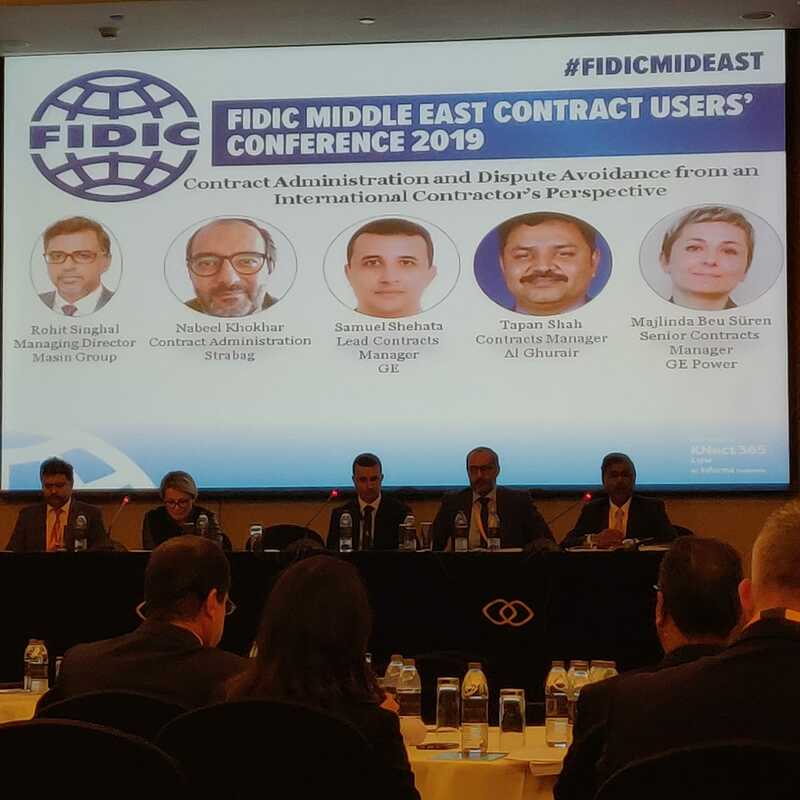 Mr. Rohit Singhal, CEO, Masin Projects was one of the speaker in the panel discussion “ARBITRATION 360 – A BIRD’S EYE VIEW”. The Mumbai Centre for International Arbitration (MCIA) organized the Pre-Dispute Strategy Workshop for Maximizing Recovery in International Arbitration. This workshop together brought the legal counsel, an asset recovery specialist, and a third-party funder in an early stage meeting scenario to consider the legal options available and practical steps required to formulate and effective dispute resolution strategy. Masin was the part of this successful workshop. The event 6th IAC is aimed at allowing students and faculties to sense the current industry requirement and thus, IIT Indore could become a centre of employee scouting by the various companies. one the other hand, the industries could also reap the benefits of cutting edge R&D by investing in the minds at the campus. 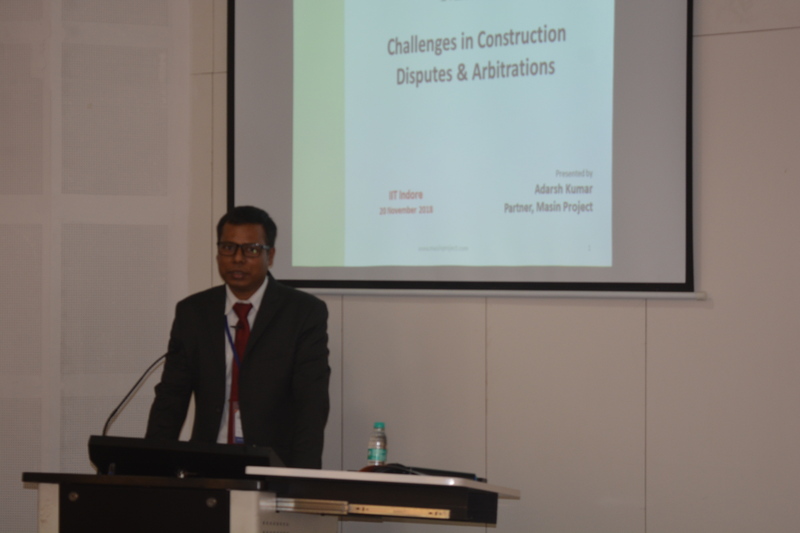 Masin Projects was also the part of the event, Mr. Adarsh Kumar, Partner, spoke on the topic of Challenges in Construction Disputes & Arbitration at the event. Venue : Hotel Hilton, Guindy, Chennai, India.